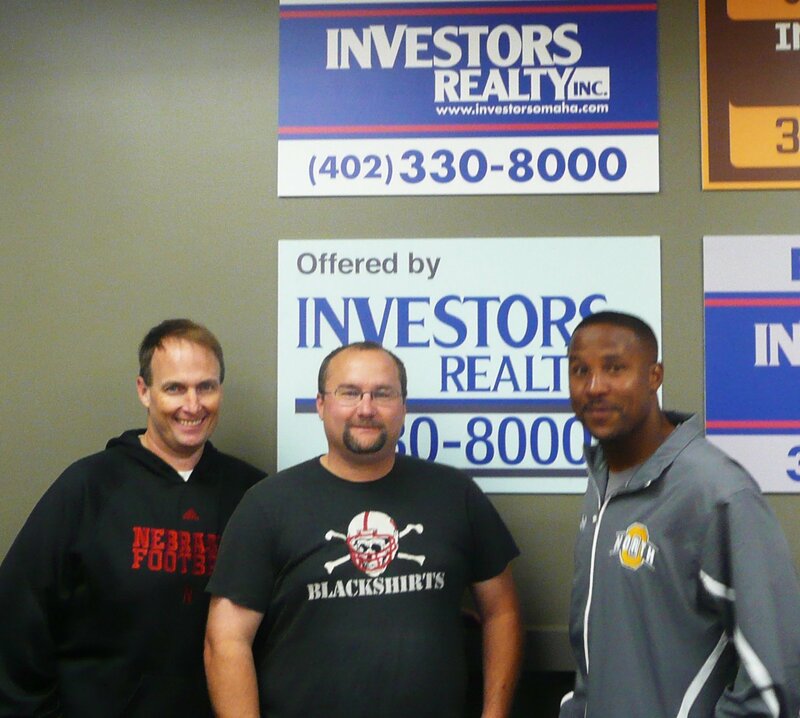 Thank you to Clint Gress, maintenance technician with Investors Realty, and an avid Husker fan and radio listener, who won pizza for our company with Gary Sharp and Damon Benning, the hosts of 1620AM “The Zone” show, Sharp and Benning in the Morning. We were treated to Orsi’s Pizza and some insights on Husker Football by the experts! Clint and wife Sara Gress at luncheon.